Pain. It has already been mentioned earlier that you will tend to feel pain on your shoulder blades. The type of pain that you might feel will vary. There may be times when the pain seems to be shooting throughout other parts of your body but there may also be times when the pain is just constant in one area. Numbness. If you start to feel that you cannot feel your arm and your shoulder that much anymore, this is may be a sure sign of having a pinched nerve. The type of weakness that you might feel may only be felt through your arm but at times, it may travel up to your arms. This might make it harder for you to go about with your usual tasks. Weakness. You might start to feel that you cannot move around your shoulder and your arm that much anymore. Lifting things may be very hard for you to do and even trying to lift your arm to the same level as your shoulder can be challenging. Do remember that these are just some of the signs that you may experience and the type of symptoms that you might experience will also vary on how severe the nerve has been pinched. Do remember that at times, having a pinched nerve will only be temporary. Large breasts. Women with large breasts are likely to develop a pinched nerve because of the poor posture associated with carrying large breasts. 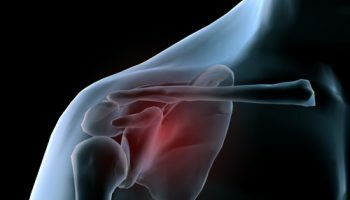 A repeated movement of the shoulder can lead to a compressed nerve, which will eventually develop into a pinched nerve. 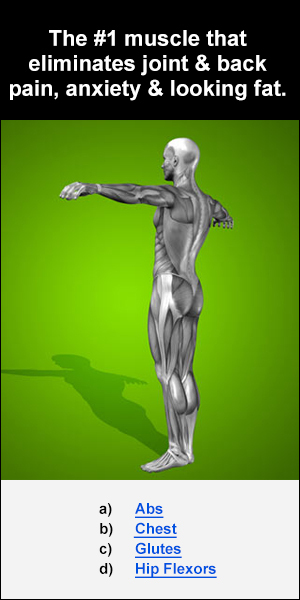 Overexertion of the arms also compresses nerves and causes a radicular pain that spreads to the shoulder blade. Individuals suffering from obesity are prone to a pinched nerve in the shoulder blade. This is because the excess weight puts additional pressure on the nerves and muscles. Pregnancy may cause a pinched nerve because of the pressure that the growing fetus exerts on muscles and nerves. Medical conditions such as rheumatoid arthritis and carpal tunnel syndrome can put pressure on nerves because of the injury or damage associated with them. Get enough rest. At the most basic level, resting is a direct means of easing the pain caused by a pinched shoulder nerve. Generally speaking, you will want to avoid moving the affected arm or your neck when possible. Modifying your sleeping posture may also be advised, but it will depend on the exact nerve in question. Use a traction collar. Depending on the nerve, you may end up wearing a traction collar to help keep your neck immobile. The physician who makes the diagnoses will be able to provide more tailored advice. Hot and cold therapy. Compresses can also be used to soothe swelling and inflammation. Apply a hot compress on the site for around fifteen minutes and then swap to a cold compress for another fifteen minutes. Repeat as needed until the area feels better. Over-the-counter painkillers. As with many medical problems, drugs can help as well. Specifically non-steroidal anti-inflammatories (NSAIDS) or painkillers in either over-the-counter or prescription form. Honey and cinnamon paste. If you want to try a natural remedy, you can also make a paste of honey and cinnamon to apply to the shoulder area. Let it sit for around ten minutes before washing it off.